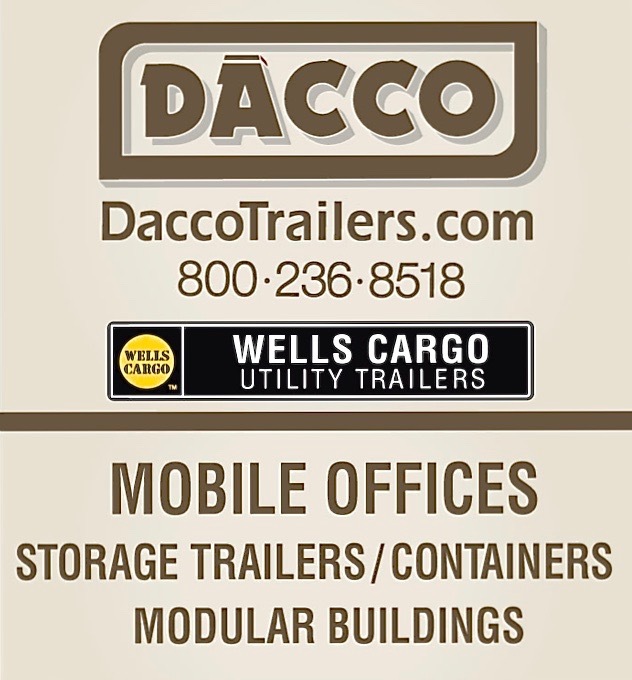 ,DACCO is a family owned business serving Wisconsin and the Midwest for over 40 years with quality Wells Cargo Utility Trailers and Mobile Offices. We take particular pride in the condition of all our Trailers. Our large Maintenance Facility and Parts Area allow our Skilled Personnel to maintain everything we rent and sell. Timely Delivery and Service are provided by DACCO’s own personnel and a large fleet of trucks. This assures our customers of worry free service. Serving ALL of Wisconsin (Milwaukee, Madison, Appleton, Green Bay, Eau Claire, Steven’s Point, Wausau), Upper Michigan, and Bordering States (Illinois, Iowa, Minnesota). Borrow Our Experience... you can bet on it!